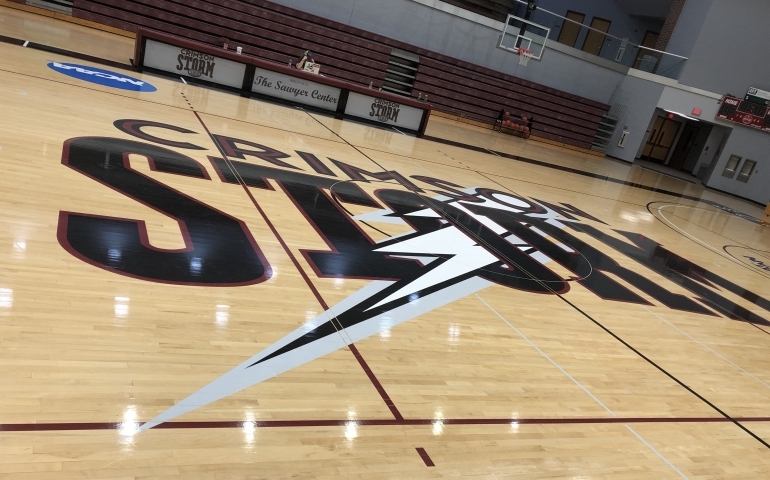 Southern Nazarene University women’s basketball is coming off of a fantastic season where they claimed the sixth seed in the conference tournament. The Great American Conference recently released their preseason poll, in which SNU is picked to finish seventh in the conference. Southern Nazarene University is returning three starters from last year’s team. The team also only has two seniors on the roster: Sidney Carolina and Rachel Doerneman. The team will have to replace two of last year’s teams leading scorers, GAC All-Second Team performer Abby Boyd and Callee Mason. The team also has to replace the great defender and leading rebounder from last year Danielle Gaddis. The Crimson Storm do return their leading scorer from last year Adrienne Berry,13.5 points per game, who is primed for her junior season. The Storm also returns starters from last season Rachel Doerneman and Irene Perez. Doerneman averaged nine points and five rebounds per game and mans the middle of the defense for the Storm. Perez returns for the Crimson Storm ready for her sophomore season after averaging four points and four rebounds a game last season. The Storm also return key contributors off the bench, which include juniors Kandyce Freeman and Madeline Schroepfer and senior Sidney Carolina. The Crimson Storm also had a very strong five women freshman class. Look for a strong season from Adrienne Berry and the entire Crimson Storm women’s basketball team. The Storm open the season on Nov. 10th against St. Gregory’s. The Southern Nazarene University Men’s basketball team is tabbed to finish fourth in the conference, according to the GAC preseason poll. Last season, the Crimson Storm finished with their best record since joining Division II. The Storm lost the GAC Defensive Player of the Year in L.B. Willis and sharpshooter Deshon Portley due to graduation. The Crimson also lose key contributors C.J. White and Anton Kankaanpaa. However, the GAC Freshman of the Year and leading scorer, Jhonathan Dunn, is returning. Noah Starkey is the other starter from last year’s team that returns after averaging 9.5 points per game last season. He will hold down the back line for the Crimson Storm. Last year’s backup point guard, Micah Speight, will most likely step into a starting position this season. Speight played in all twenty-nine games last season. I had the joy of speaking to Micah Speight. Speight thinks that the Crimson Storm men’s basketball team will have a pretty good season this year. Speight says “With a young team, I think the most important thing will be how together we are, how well we defend, and how tough we compete every night.” Last year’s team relied heavily on seniors. Speight believes that is one way the team we will be different. “Deshon and LB were our main leaders and did an excellent job in this role. We, as a team, last season reflected those two well and that is why we were so successful.” One area that Speight believes he has improved on since last season is leadership. Speight saw that the leaders from last season were seniors and graduated. “So for me as a point guard and returning player, I feel like I needed to step up big time in that position.” He says that a majority of the time just even encouraging teammates play a big role in leadership. The men’s basketball team begins their season on Nov. 10th against Southwestern. Be there to support!